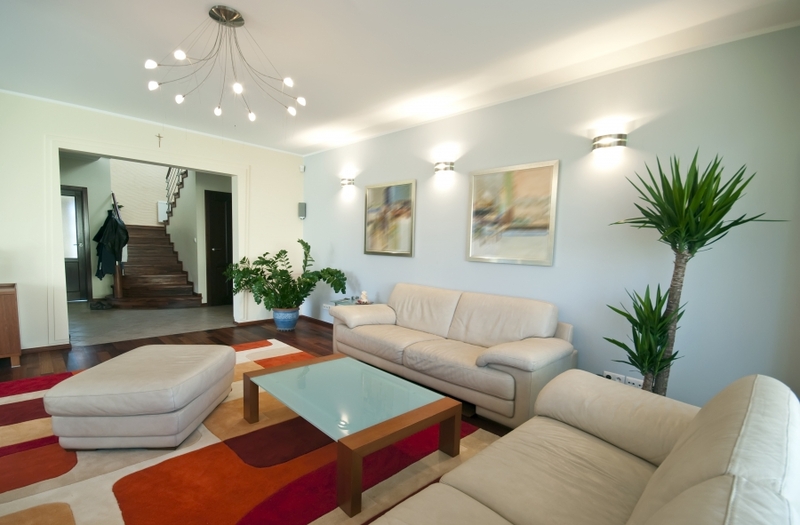 When it comes to choosing the best light fixtures for your home, it’s important to know the difference between ambient, accent, and task lighting to ensure you’re getting the proper illumination where you need it. At Lighting Concepts in Alabama, we’re proud to offer a large selection of decorative and affordable light fixtures for every room in your home, from the living room to the bedroom and beyond. 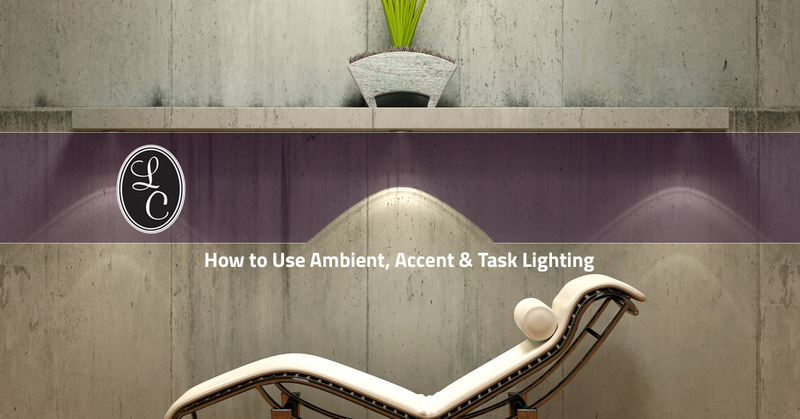 In this blog, we’ll discuss how to use ambient, accent, and task lighting so you can choose the best fixtures for your needs. If you need assistance finding the perfect lighting solution for your bedroom, bathroom or family room, contact us today! The word chandelier comes from the French term “chandelle,” which appropriately translates to mean candle. While old-school chandeliers relied on candle flames to supply the appropriate amount of light in a room, new modern versions incorporate electric lights into the chandelier design. These days, chandeliers can be as fancy or simple as you’d like, and with the plethora of lighting options available, it’s easy to find a fixture that meets your needs and budget. Before you purchase just any chandelier to add elegance to your bedroom or dining room, make sure you know the appropriate size to look for. At Lighting Concepts in Alabama, our lighting experts can help you find the perfect chandelier for your home. Whether you’re looking for an antique-style chandelier or a modern crystal chandelier, we’ll work with you one-on-one to find the best lighting solution for your home. 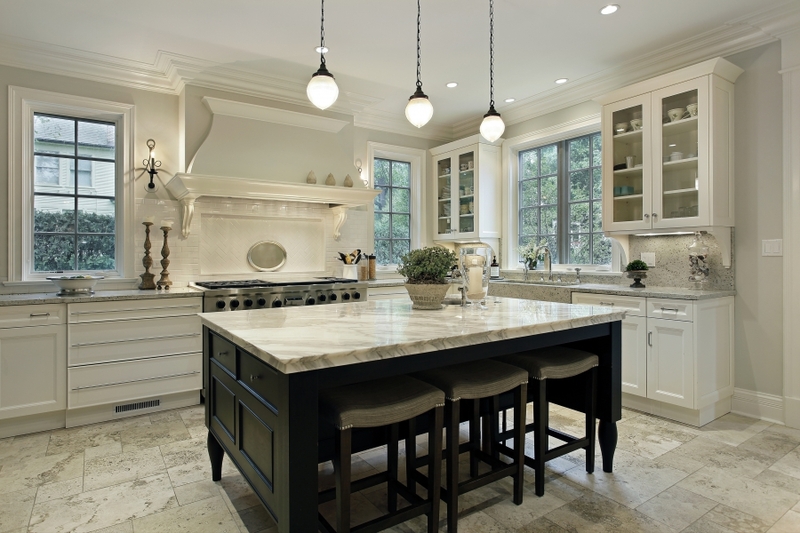 Another excellent way to add ambient lighting to your home is through pendants. These unique light fixtures hang from the ceiling from a light track or monorail and they can make terrific accessory lights in nearly any room of your home. This versatile light fixture can make an elegant statement in your dining room or kitchen, and with the large range of styles and designs, it’s easy to find one that fits the interior decor of your home. Add ambient lighting to your kitchen with decorative wall-mounted light fixtures or sconces. A single sconce can be used over the kitchen sink to add ambient lighting when you prepare dinner for your family or wash the dishes. The light from these devices will not only help to illuminate your space, they’ll highlight the positive features of your home while creating a warm and inviting atmosphere. At Lighting Concepts in Alabama, we’ve helped thousands of people find the best lighting solutions for their home. If you need assistance choosing the best wall lights or sconces for your kitchen or bathroom, contact our lighting experts today! Task lighting provides areas of your home with smaller, more concentrated light. This type of lighting is ideal to have in any workspace of your home, whether it be your office or kitchen island. Task lighting is primarily meant to help you see when you’re working on projects like reading, cooking, writing, and sewing. Let’s take a look at some of the best task light fixtures for your home! The design of your desk lamp. Do you plan on adjusting the lamp frequently or will you keep the lamp in a concrete position? Desks lamps come in a variety of shapes and sizes, and the right size can make all the difference for your task lighting needs. The bulb type. Most desk lamps offer clean, bright light that can be directed in almost any direction. Other popular bulb types include LED, halogen, and full spectrum. Another excellent task lighting solution for your home are track lights. Track lighting is a system where in-light fixtures are attached on a track that has electrical conductors installed. Homeowners love to install track lights around their kitchen because they have tremendous flexibility when it comes to where they should go. Unlike most other types of lighting, you don’t have to remodel your home to install track lights. Most of these lighting systems come in ready-to-install packages, which can be extremely beneficial and convenient. To highlight photos or images hanging on the wall of your home’s hallway, consider investing in half moon flush mounts. This type of wall sconce is an excellent source of accent lighting that can easily highlight the style and decor of your home. At Lighting Concepts, we’re proud to offer high-quality flush mounts in a variety of designs and styles, and our lighting experts would love to help you find the best flush mount for your home. Browse our flush mount selection online or contact us today to learn more! Recessed lights, also known as can or pot lights, are versatile ceiling fixtures that are often used in kitchens, living rooms, and closets. These lights are flushed with the ceiling, making them a great lighting option for rooms with low ceilings where a hanging fixture would hang too low. Recessed lights are often used for downlighting, and with the wide range of designs and styles available, it’s easy to find lights that meet your needs and budget. Lighting Concepts is proud to be a leading provider of ambient, task, and accent light fixtures throughout Alabama. Browse our lighting store online today or contact us if you have any questions!